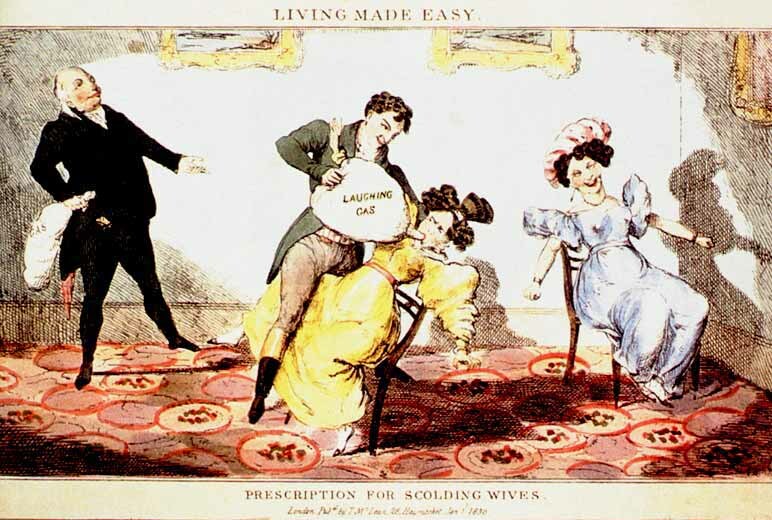 "The Prescription for Scolding Wives"
The prospect of using nitrous oxide to subdue "shrewish" women appealed to some Victorian male sensibilities. Likewise in the contemporary era, psychotropic medications are sometimes used for the purposes of social control rather than therapy. "A Grand Exhibition of Laughing Gas"